Taking off with your caravan or motorhome for the weekend or an extended holiday? It pays to make sure that the gas appliances on board are safe to use before you hit the road! Us Kiwis love camping and the Great Outdoors, unfortunately we’re not so great at following the rules when it comes to gas installations. Many older caravans and motorhomes have DIY jobs that are quite frankly dangerous. If you’re not sure if your caravan or motorhome is compliant then Marine Safe Gas can help! 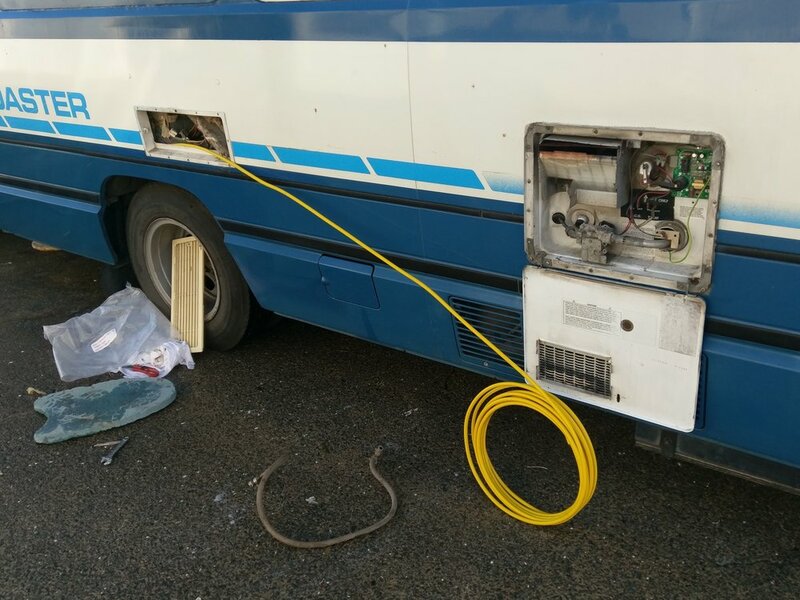 As a certified gas fitter operating in the Auckland region, Marine Safe Gas are fully licensed to perform New Zealand caravan and motorhome gas fitting services. We also provide safety checks for hot water, gas heaters and gas refrigeration so you can have peace of mind when you’re on holiday. Our professional gas fitter will ensure you meet all up to date regulatory requirements, and issue a Certificate of Compliance for all your gas appliances. Now that’s one less thing you have to worry about! If you’re buying a NZ or imported caravan, boat or motorhome you should always check with a qualified gas fitter that it has a Certificate of Compliance for the safe use of New Zealand LPG. If selling a vehicle, as the owner you have an obligation to make sure it complies with gas safety regulations. If in any doubt it’s best to get it checked by Marine Safe Gas. Don’t take shortcuts when it comes to caravan, boat or motorhome safety, get your vehicle ready for your next road trip with a professional and compliant gas fitting installation. Give us a call on 027 601 6224 today!